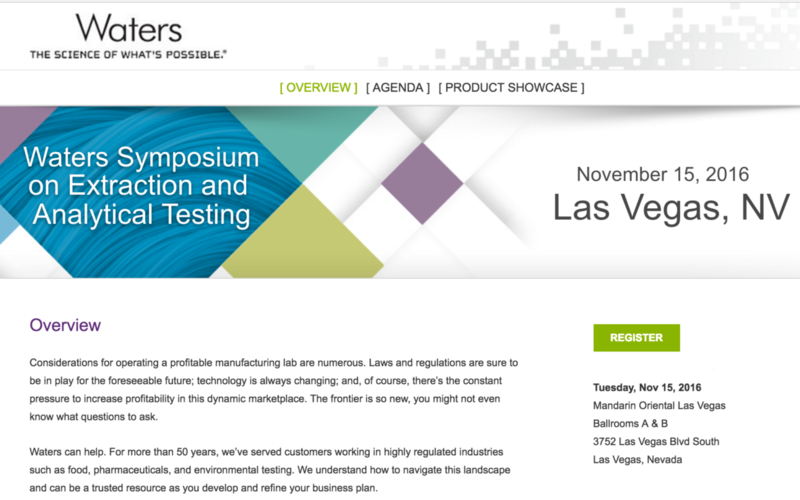 Seth Wong, President of TEQ Analytical Laboratories will be speaking at this year’s Waters Symposium on Extraction and Analytical Testing conference in Las Vegas on Tuesday November 15, 2016. Seth will be highlighting the development of an ISO/IEC 17025 accredited cannabis laboratory in the Cannabis Market; the benefits and hurdles faced with bringing a lab into the cannabis market and then the road to accreditation. To sign up for the symposium click here.